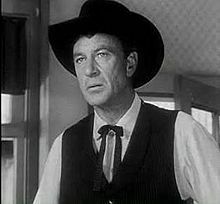 just that High Noon was on and..."
1. While channel surfing, you join a good movie in progress, and watch the rest of the movie (even though it may require you to adjust your plans for the rest of the day). 2. After you watch a movie, you go look up its cast and crew to learn more about them. 4. You browse through the TCM schedule as soon as it's published and set your video recording device to ensure you don't miss any desired movies. 7. You provide family members and friends with a list of DVDs as gift ideas for you. 8. You make family and friends watch classic movies with you...at least the ones you feel are required viewing. Name 15 of his movies! 9. You play movie games with family and friends on long trips. 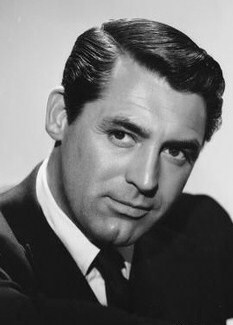 My wife and I play a variation of 20 Questions with movies and then challenge each other to list a specified number of movies starring a particular actor or about a particular subject (e.g., name 20 dog movies, 15 films with Cary Grant, all the James Bond films--bonus if in chronological order, etc.). 10. You read movie blogs--like you're doing now! I agree with all of the above. Another sign of a film buff is you have a large library of movie books. For instance, I buy just about every book that discusses film noir, westerns, SF, etc. Another sign: you just don't sit down and eat dinner. You eat while watching dvds of your favorite movies thus combining two pleasures, eating and watching movies. Make that three pleasures if you drink. Like Toto, I agree on both counts. My film reference BOOK library has gotten smaller over the years (moved twice), but there are certain books I rely on (e.g., Katz's FILM ENCYCLOPEDIA). Guilty as charged! #3 is what I fondly call rabbit holes. You start on one movie, check out something else the director did, are led to yet another classic, whose lead actor takes you to another work, etc. Rabbit holes galore before you are finished. Great list, Rick! And Walker, I agree about amassing a film reference library! Also, have you ever watched someone eating something in a film and then seriously craved that? Really fun post, Rick, and a good example of why I read good movie blogs! Oh, I am so guilty of every one of these! Thanks you for my daily laugh - I'm splitting my sides right now! 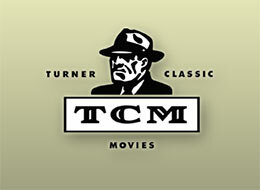 Please add me to the list...One of my favorite pastimes, is to look at the TCM guide and hunt down any film that I have not yet seen..
Great list, Rick, and I can see myself in all of these, especially #4. Becky, the same thing happened to me with the Silver Screen Trivial Pursuit. That's very funny. I wound up selling mine because it was just gathering dust in the closet. I've tried to introduce friends to classic film, but it seems to be more and more of a losing battle each year...and these are people in their late 40s and early 50s. Sigh. I still have my Silver Screen edition. I was crushed when a lucky friend beat me the first time we played it. He just happened to get the easy questions. I coulda crushed him. I coulda been a contenda! In my parents' house, substitute Errol Flynn for L&H and the same would have applied! Becky, I CANNOT look at a picture of Flynn without thinking of you! LOL! It's nice to know at least to one person, I am forever linked to The Great Flynn! Fun post! I like the idea of providing family & friends with lists of DVDs for presents - it so simplifies things! There's also following the calendar of a revival house, if one's in your area, and marking the dates for film classics they're showing and that you MUST SEE ON THE BIG SCREEN, even if you've watched them a thousand times already on tv/DVD. Fine addition, GOM. I was so bummed when the Vogue Theatre closed on Louisville. I always looked forward to its monthly calendar. Guilty on all counts! You know us all too well, Rick! I plead guilty to most of these counts. I feel so exposed! Guilty as charged- and you're right, Kevin, it is a losing cause. I think there is an exception to #1 for me. If I am channel surfing and find an interesting movie, I won't watch the rest of it if I have never seen it before! Instead I make a note of it and look up when it is on again (I like to see movies I've never seen before from start to finish). I fit all the other criteria though! Terence, if I'm surfing and land on a favorite that I also own, I'll sometimes refrain from watching the rest...but then I'll be inspired to pull out my DVD again and watch the film from start to finish. Very interesting and appropriate list. I can think of a variation of #2: You wait until all the credits have finished at the end of a new movie and you get mad as hell when the TV stations cut them off or fast forward them in minus-2 font. What does it say about me if I do all of these things every day? What I do is while I'm watching a movie. Is check the bios of actors on IMDB, especially the character actors.